PACK & SEND offers a reliable and innovative express courier service. This service allows us to offer nationwide same-day delivery and courier services for time-critical parcels. 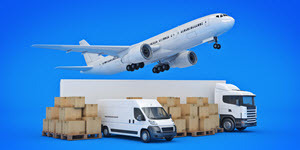 We understand some packages need to reach their destination as soon as possible. That’s why our same day delivery service can deliver your urgent parcels, packages, and documents to the door anywhere in Australia at any time. Whether it’s a one-off shipment or ongoing logistics for business, PACK & SEND can tailor a solution for every situation. eBay & Gumtree sellers, and Australian business alike, small or large, can trust PACK & SEND to offer competitive same day delivery services, so they, in turn, can provide first-class services to their customers. With a reliable network of over 100 Service Centres across Australia PACK & SEND offers a truly comprehensive delivery service. Get a fast and accurate quote today by visiting your local Service Centre, call us on 1300 668 000 or get a quote online today.